ever changing— ever growing— naturally elegant— a little bit wild— and always something to celebrate. Trillium, like the flower for which it is named, is an integral part of the north campus neighborhood landscape. 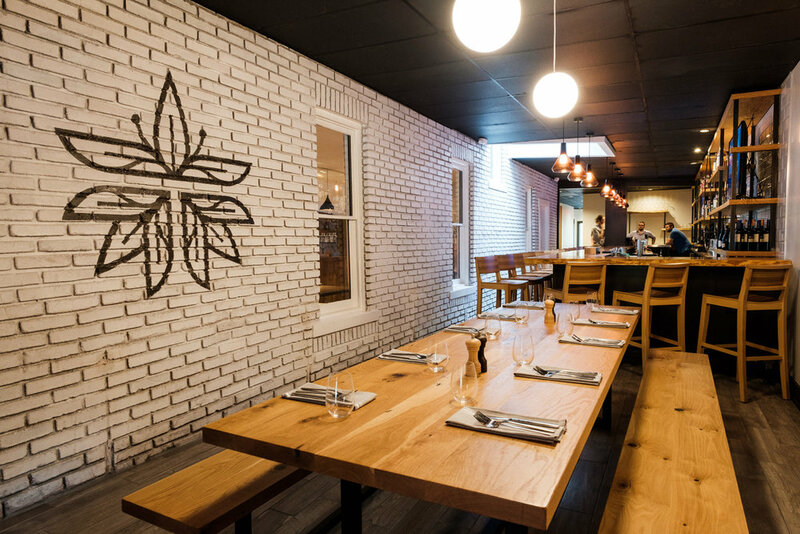 We had the opportunity to work with the folks behind the new fine dining restaurant, Trillium Kitchen & Patio. Executive Chef Bradley Balch (also known for The Sycamore) and crew came to Slagle Design with the name and concept and we helped Trillium visualize and tell their unique story. Trillium's menu draws inspiration from global cuisines– especially seafood— and changes regularly to highlight the finest seasonal ingredients. They are dedicated to greeting you with open arms, feeding you well, and helping you celebrate everything from the everyday to the extraordinary—stop in and enjoy!